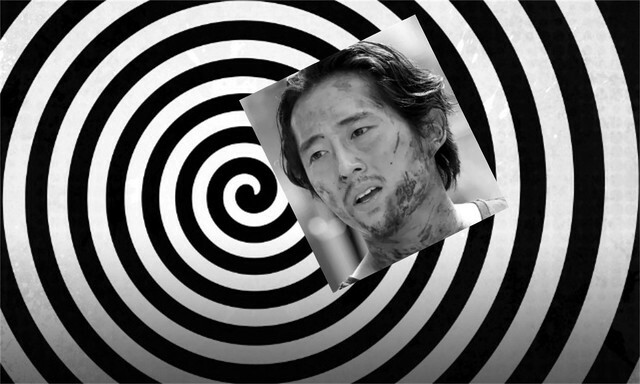 Steven Yeun Will Enter The Twilight Zone! With a new season of the anthology series THE TWILIGHT ZONE currently in production, Jordan Peele prepares to host and narrate the episodes. Sanaa Lathan is known to be starring in an episode titled Rewind; Adam Scott is taking over from William Shatner and John Lithgow in Nightmare at 30,000 Feet, a remake of the classic tale Nightmare at 20,000 Feet; Jacob Tremblay, Erica Tremblay, John Cho, and Allison Tolman are in an episode called The Wunderkind, which is about a child President, and Kumail Nanjiani will play in an episode. It has also been made know that Steven Yeun from THE WALKING DEAD fame will be playing a character in an episode titled "The Traveler" which will be about two cops and a mysterious traveler. Another episode revealed that currently has no cast will be called "Last Shuttle" and will be about a group of astronauts dealing with a crisis. Jordan Peele's production company Monkeypaw is producing Simon Kinberg's Genre Films and CBS Television Studios. Peele and Kinberg are executive producing with Win Rosenfeld, Audrey Chon, Rick Berg, Marco Ramirez, Greg Yaitanes, and Carol Serling. This new season of THE TWILIGHT ZONE will be made up of 10 episodes.